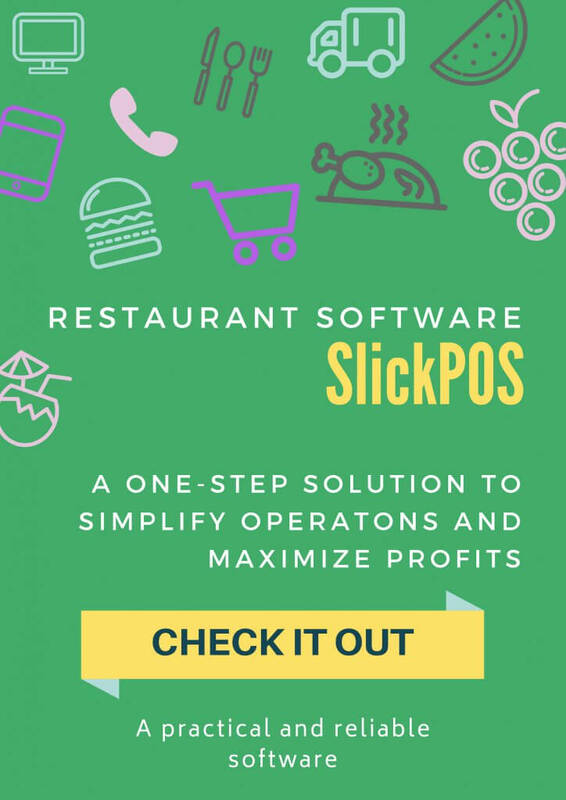 What’s new in SlickPOS this November? 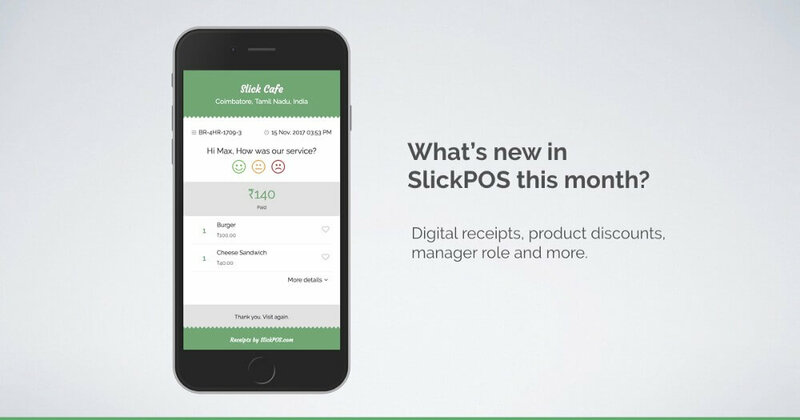 Here’s a roundup of the new features we have rolled out to SlickPOS this month. If you don’t see these features in your account, follow these instructions to get the updates. Using SMS receipts will now send a digital receipt link to your customers. The customer can view and provide feedback on the digital receipt. In the next release we are adding an app to view and act on the customer’s feedback. Now you can offer product level discounts along with or instead of bulk discounts. This is especially useful when you sell products with different tax rates and want to clearly report which item tax got discounted. This has been one of the frequently asked feature and here we go! While setting up the cashiers for your Point of Sale (POS), you can optionally specify if the cashier has manager permissions. With this permission, the user will be able to do cancellations, view sales metrics (for his register) and view apps. However, access to change the POS setup is restricted to the account owner. For improved security, if your SlickPOS account has one or more cashiers setup, signing in to the POS will also require unlocking with the owner or cashier PIN. This is to ensure that even if you have shared your SlickPOS account password with your cashiers and managers, they will not be able to sign-in and change the setup. For clearer reporting of taxes and discounts in the Sell screen, the product prices you see now are shown excluding tax. Taxes are dynamically calculated and shown in the right pane. If you had previously setup products whose pricing was inclusive of tax, then you will see the displayed prices to be different. Do note, this is just a display change and pricing calculations remain the same. We have strengthened the offline sync ability and if at all there are any un-synched receipts it will always display and alert you. You can also trigger sync by clicking the reload icon near the un-synched receipt count. We have also made the POS lighter and generally faster to operate. We hope that you liked our updates, do send us a message if you have any suggestions for us. See you again this December with the next round of updates!